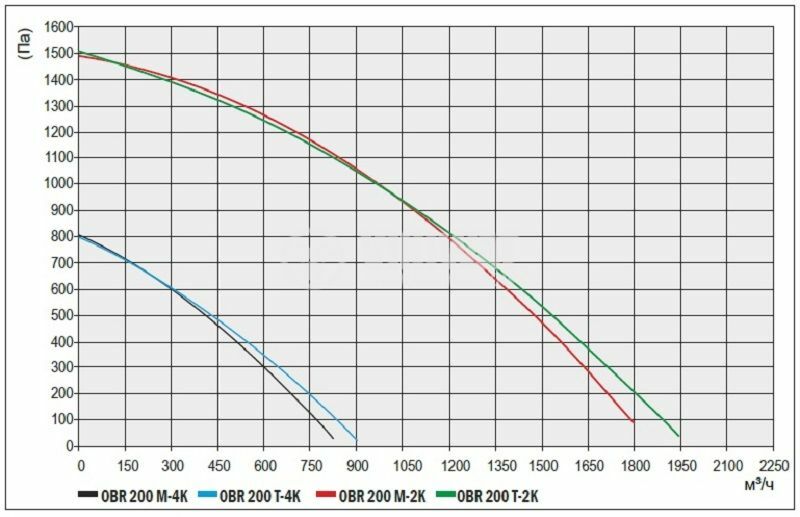 The OBR 200 Series fans can be used in greenhouses, factories, shops, paint shops, shopping malls, cooling steam machines, as well as in plastic production plants, packaging, olive oil pressing, etc. 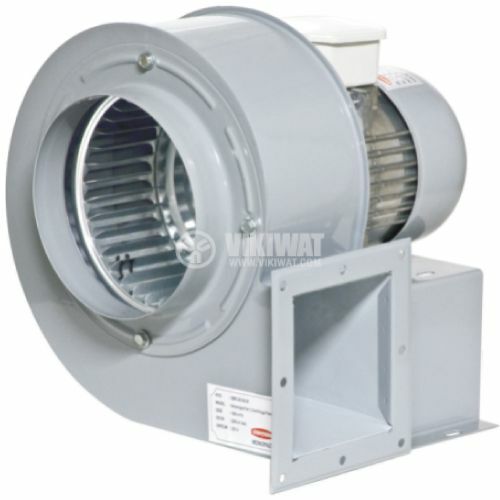 The OBR fans are made of aluminum and are equipped with 6202 radial ball bearings. List Price 219.00лв. VAT Incl. 208.05лв. VAT Incl. Operate in conditions with normal fire hazard, according to "fire-construction technical norms";Mounted on sturdy panels with screws and dowels, bolts with nuts or nuts with nuts. 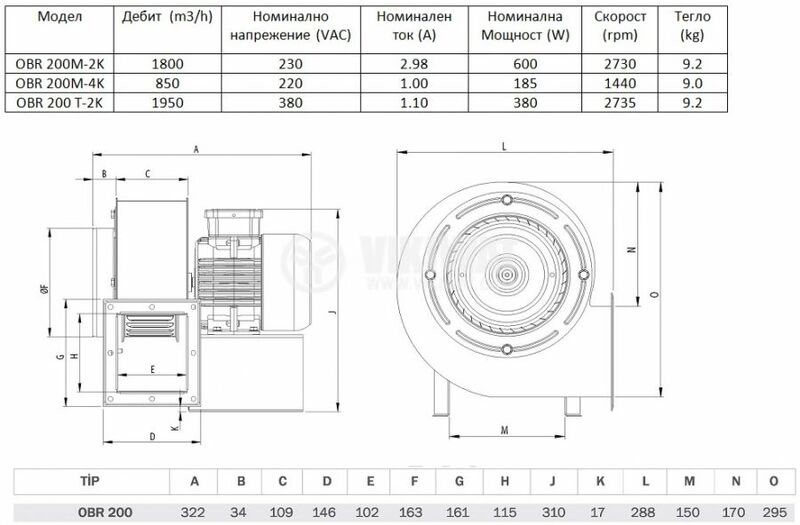 The centrifugal fans OBR 200 are available in two variants - monophase and three-phase;It is not recommended to regulate the flow by mechanical throttling. If the output is fully closed, the fan will develop maximum pressure and zero flow. A measured increase of the consumed current by 7-10% is measured, considering its reduced cooling during this mode of operation, there is a possibility of overheating and irreversible damage to the engine, which may lead to the failure of its warranty;The fan flow rate can be adjusted with a suitable electronic regulator. the degree of protection is IP 44, which does not allow the fan to operate at higher humidity and aggressive media (containing sticky and fibrous substances) as well as in inappropriate atmospheric conditions. Аспирацията на кухнята е с такъв, целият е в мазнина 3 години вече и няма проблеми. Много мощ. С този изнесен ротор е перфектен за ресторанти !! !